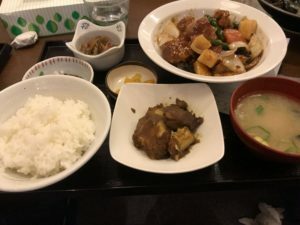 February 2019 – Juna's groove!! 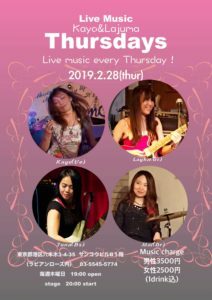 Today I had a gig at Roppongi La vie en Rose in Tokyo . 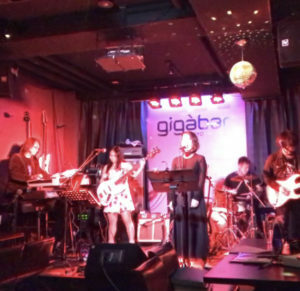 The vocalist Kayo is especially good at Rock . She sang Move Over and that was great . Hey guys !! 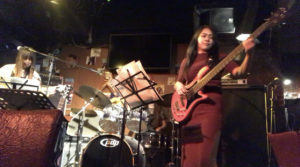 I’m a bass guitar player Juna Serita !!! 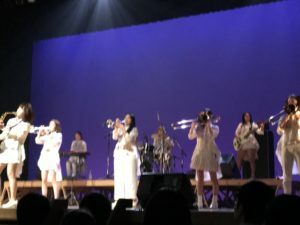 Today TOKYO BRASS STYKE had a concert in Wakkanai !! 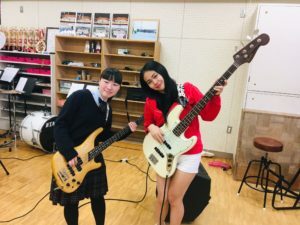 The drummer Rikako and the sax player Megumi , they will graduate from the band today …  So it is the last chance to perform with them as band member . 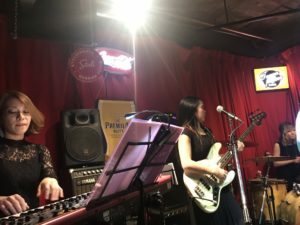 I played bass solo on 2 songs . 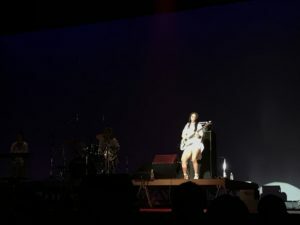 In the band , we all have solo parts . When I hear other instruments solo, it makes me motivated a lot . Feels like I gotta be great like them! 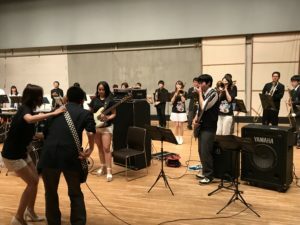 And we collaborated two songs with students too !! They looked a little bit nervous but they did great job !! I’m proud of them . 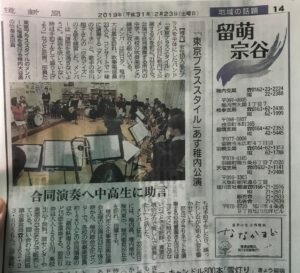 The band I’m in called TOKYO BRASS STYLE Appears on two newspapers in Hokkaido !! 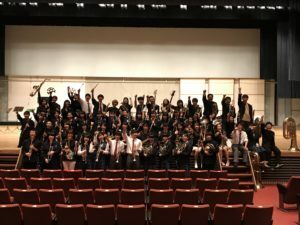 That is about our concert which takes place tomorrow and teaching students . We are always proud of the thing we do . 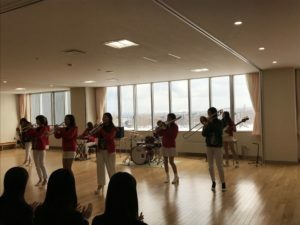 This morning , we went to teach Wakkanai east junior high school . 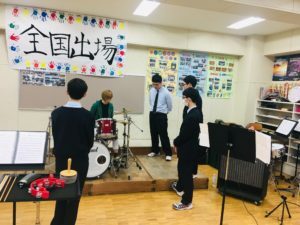 There was no bass guitar player , so I teach students who play percussion . I think they are kinda shy, but they did very well. 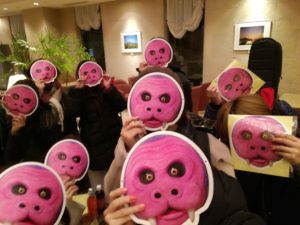 That was a nice meeting you guys!! 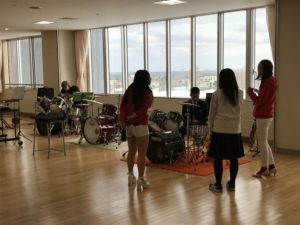 And also this afternoon , we teached students of Wakkanai high school and Wakkanai south junior high school at tomorrow’s concert venue . It was kinda hectic day but I really enjoyed it !! I’m so shocked !! I gotta practice harder and harder !!! Anyway , we all play together tomorrow !!! 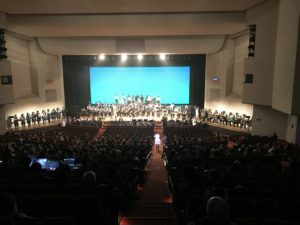 That will be a huge brass band. I can’t wait !!! 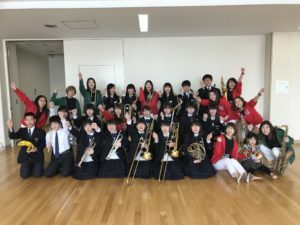 Today TOKYO BRASS STYLE went to teach students in brass band of Shionomi junior high school . The time is short but I can say they already changed a lot !! There is a glockenspiel player here, it made the songs really cool. I like it. 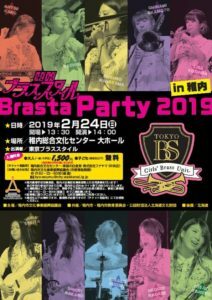 We’re gonna perform together at out concert on 24 th too. I’m so excited about it.!! 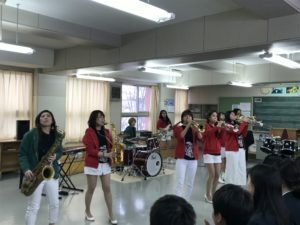 After school project @ Otani high school . 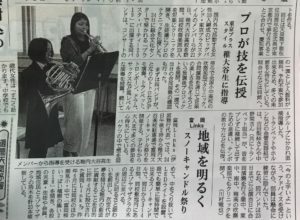 Today TOKYO BRASS STYLE came to Wakkanai in Hokkaido !! 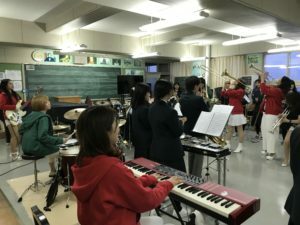 Today’s our mission is teaching students in Otani high school. 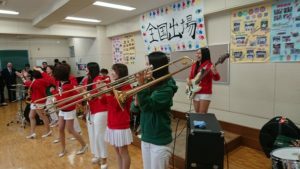 Mostly high school brass band doesn’t have bass guitar player but today there is the one!!! 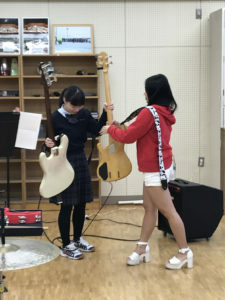 She is a nice bass guitar payer , I couldn’t believe she is still student ! 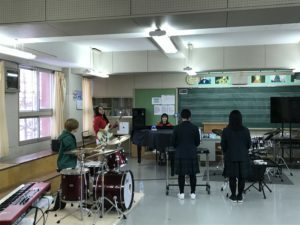 The percussion team was very serious to take Rikako’s lesson . I’m so impressed by them . 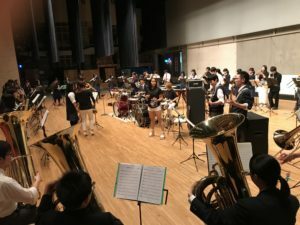 As demonstration , we played three songs. 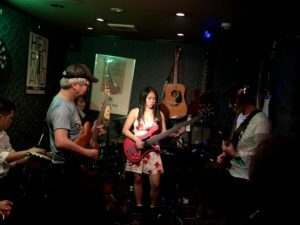 Today I was hosting a jam session at Shimokitazawa RPM. 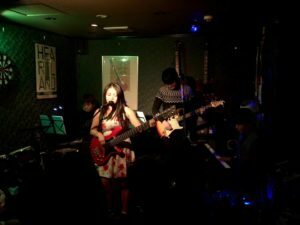 We played two songs as host performance too besides jam sessions . I often play with this drummer called Simon McDowell , he is great. He played for my birthday show as back band too. Appreciate . Anyway thanks for coming everyone !! Both musician and listener ! 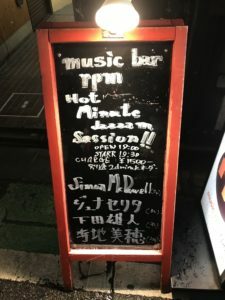 We’re gonna host jam session next month too! 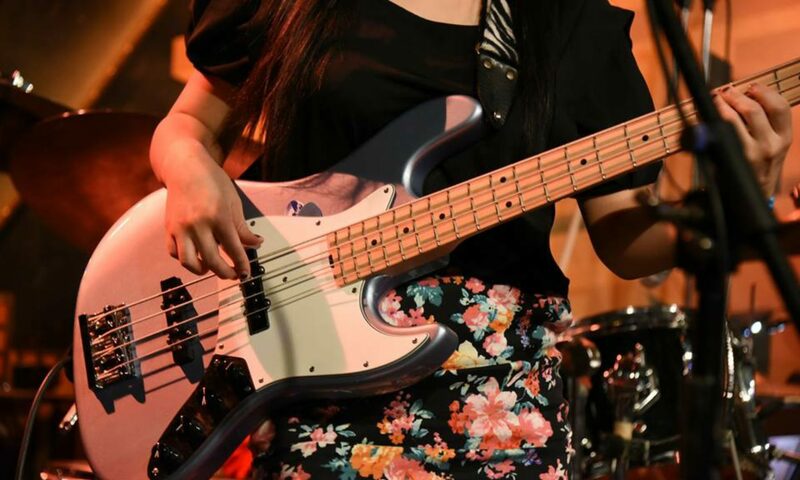 Hey guys I’m a bass guitar player Juna Serita!! Today’s vocalist is Mayu Hiramatsu.She is younger than me but very calm and considerate . 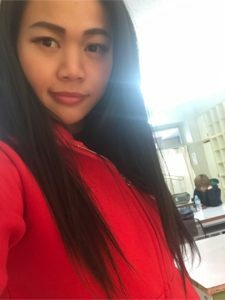 Today we played her new repertory song Mama Knows Best byJessie J.
I thought the song should be very difficult to sing , but she killed it . 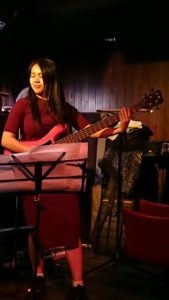 She is an awesome singer I often play with. 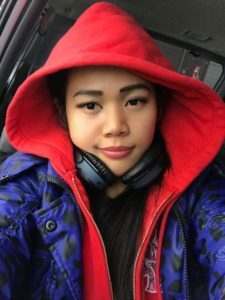 For a long time I was thinking that I wanna do some live streaming. However I was not sure which app I should use . 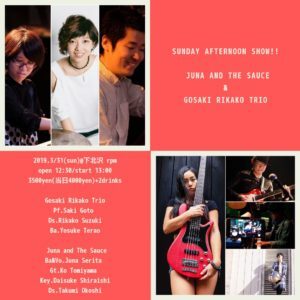 Today I had a gig of my own band called Juna and The Sauce at Shinjuku I MUSIC BAR. 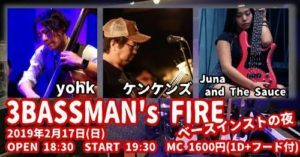 This is the event of bass guitar players. 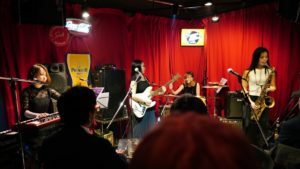 I performed 5 songs . 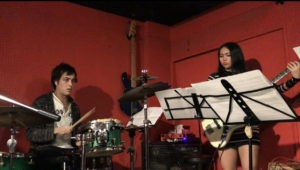 Actually it’s my first time to meet this backup musicians! The owner of the bar introduced them to me; )!! 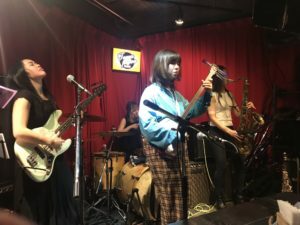 I sent songs and chart just a week ago, but they did really great. I really appreciate. 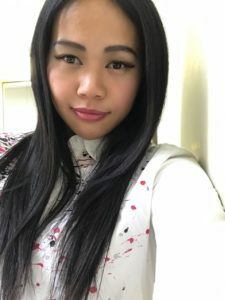 Except 3rd song, these are my original song ; ) ! Thanks for coming everyone !! Because you know, it’s like my children. I made them. They are pretty . And I wanna proud of them. 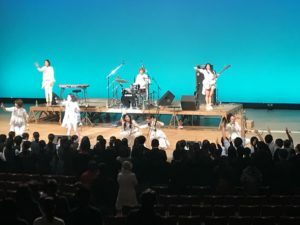 At the encore , the 3 bass guitar players played together with chicken. I hope I’m gonna have my own gig often this year . 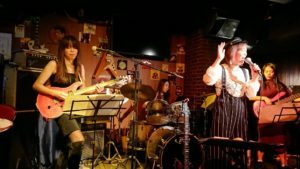 Today I had a gig of TOKYO GROOVE JYOSHI at TERRAPLANE in Shibuya,Tokyo. It’s sold out, thanks everyone ; )! 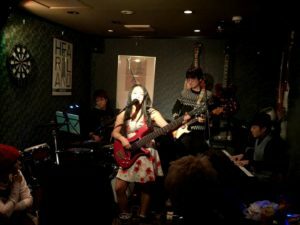 Today ‘s featuring musician is a sax player Harumo Imai !!! She is badass !!!! I feel sorry to the people who missed today’s show because Herumo was too AMAZING!!!! 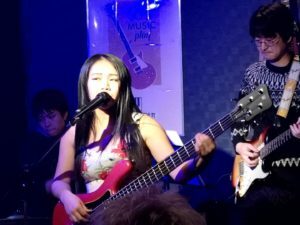 I wanna let more people see her incredible performance .And I really wanna play with her more often!! 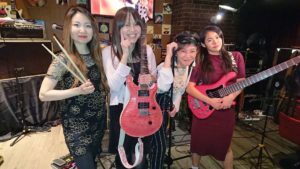 Our next gig is on March 24th at Motion Blue Yokohama. 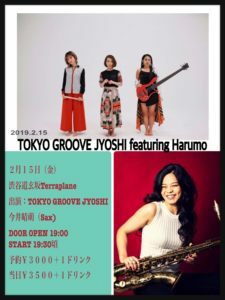 TOKYO GROOVE JYOSHI is playing with Harumo Imai and a gospel vocalist Tia from New York . I can smell it !!! Please book your schedule.